A 10-year-old kadavy.net classic, this “mini-episode” (or is it just an “episode?”) distills eight rules of living that make me feel like I really have an edge on the world. We have thousands of listeners, but just over 50 ratings. With this episode, we’re trying to get to 75 ratings, and a What’s Hot Business category ranking within the top 50. Go rate Love Your Work on iTunes (Subscribe while you’re there). 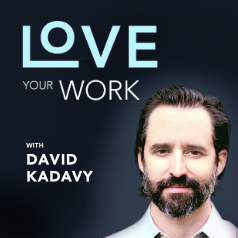 This post is filed under Love Your Work Podcast. The Heart to Start will give you the courage to make your art real. Love Your Work (iTunes) will lead you to your calling. Disclosure | Privacy | G+ | Coupons kadavy.net is powered by WordPress. Hosting by WPEngine (Coupon). Kadavy, Inc. reserves its rights to this site's content under this Creative Commons license.